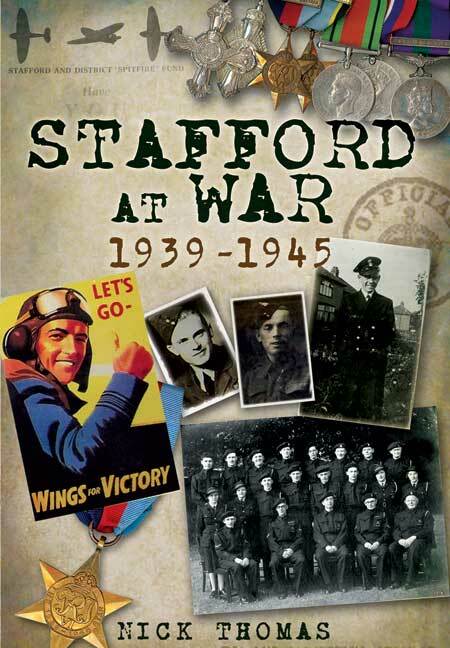 You'll be £12.99 closer to your next £10.00 credit when you purchase Stafford At War 1939-1945. What's this? Nick Thomas is a former archaeologist and finds expert. He currently works as Collections Officer for a local authority, having been manager of the ground-breaking Stafford Castle Visitor Centre and Museum, with which he has a 35 year association. Nick has contributed history articles to a number of archaeological journals and the local press, while finding time to work on many of the ‘digs’ in his home town. In recent years he has co-written the definitive history of his home town and is currently writing a companion volume on Staffordshire.